This series offers considerable reduction to occupied space while also including the standard UNION innovations and exclusive technical features. These models are equipped with two independent solvent tanks with round bottoms, designed to prevent moisture and associated bacteria problems, with a large front facing sight glass. No water required. 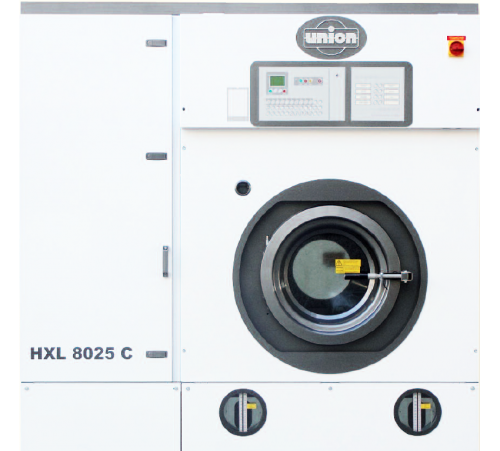 With Union's standard dual fan condensing unit the machine can be operated with no water. With dual solvent pumps and dual independent cartridge filtration assures maximum solvent control and purity.